Plenty of online service providers, including Google, allow their users to enable multi-factor authentication to protect their accounts. You can use the same approach to protect your WordPress accounts. 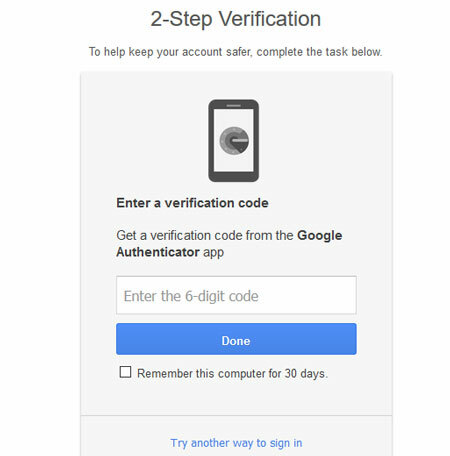 The WordPress 2-step Verification Plugin is a simple tool that brings 2-step verification to your site. The plugin is very easy to use. Once it is installed, you will need a code generated by a smartphone app to login. 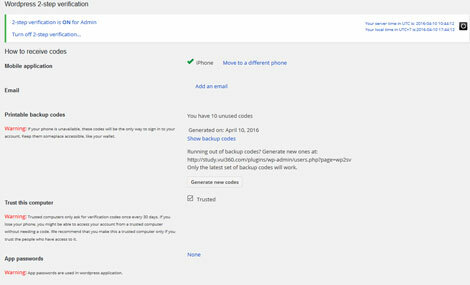 You can change your mobile app and e-mail settings from the back-end. Want to save printable codes for emergency situations? No problem. Trusted computer option with verification once per 30 days is also supported. You will still have to take other steps to secure your accounts and harden WordPress. Plugins like this make it harder for people to mess with your login page though.